Energy healing is the act of releasing stagnant energy and restoring wholeness and balance to a person’s energy fields. Energy fields are the foundation and blueprint of the physical, mental, and emotional bodies. By restoring the fields, you are given the opportunity to heal on all levels. Imbalances and blockages do not always originate within this lifetime. They can be caused by past lives and ancestral lineage. You do not have to know these circumstances in order for them to be healed. Your higher self and soul are aware of everything that needs to be transmuted and released and will repair and upgrade your energy fields as needed during the healing. Energy healing offers so much more than physical, mental, and emotional healing. It also expands consciousness and brings new, ascended levels of awareness - like experiencing life in HD. To answer this question, we must initially recognize everything and everyone is energy and frequency. When there are imbalances or blockages in a person's energy fields, energy does not flow freely and smoothly. As a result, life can seem difficult, heavy, and limited. Energy healing reconnects and clears the energy pathways and enhances the original energy systems - allowing further expansion. We must equally recognize humans are fundamentally designed to frequency match. It happens constantly in life and we do it with each other as well as with nature. Typically, the person with the highest intent and frequency holds space for the other person to attune to their vibration. This occurs on conscious and unconscious levels. We experience this daily when interacting with others. To understand how this works, merely remember a moment when you absorbed someone else’s elevated mood. Now recall when another person accepted your cheerful mood as if it were their own. This is basically how frequency matching occurs in an Energy Healing session. How exactly does this work? Bridget is a conduit and channel of high, full spectrum energies. Her role is to be a clear channel, allowing these pure frequencies to flow through her. This presents a frequency matching opportunity to your body, subconscious mind and/or higher self, and soul. Healing capabilities activate within you that naturally provide transformation. All of this happens at the subconscious and/or higher-self, and soul levels. Meaning, you are not required to be consciously aware of what needs to occur nor understand this process to experience results. We all possess the innate ability to self-heal. Though until recent years, fewer people have manifested the high energetic frequencies needed to enable these restorative actions to take place. Energy Healings occur because the practitioner is a conduit for frequencies higher than mental, emotional, and bodily ailments. Limitations and blockages cannot exist within these pure energies so they are resolved. Your body and energy bodies know what to implement when experiencing this dynamic, dimensional energy exchange and behave accordingly. This is why Energy Healing sessions represent a true co-creation, presenting impactful healing. Blockages are generally fear-based. They occur for many reasons and can originate through varied experiences and behaviors. The following is a list of potential causes: Fears, anxiety, persistent negative thoughts, anger, outdated and/or false beliefs, emotional trauma, emotional abuse, physical violence, physical abuse, self-loathing, judgment, lack of personal power, lack of self-love, an inability to experience, heal and release, amongst so many other occurrences. Currently, these remain ordinary parts of the human experience. It is when we hold on to these low energies a disturbance is created within the energy field. But what is amazing is we are learning to change and release these aspects because they no longer serve our highest good. It is within this process that healing and growth happens. It’s why you are here, now, reading these words and are interested in co-creating an Energy Healing experience. Click here to book your Energy Healing session. What happens when I have an imbalance or blockage? An imbalance or blockage in a person's energy field does not allow energy to flow freely and smoothly. Instead, it collects and is distorted - and will establish an alternative path for itself that isn’t always optimal. In many cases, if one area is blocked, other areas will attempt filling in the void. It is similar to how water flows in a river if boulders and debris dam its path. This can be experienced in a number of tangible ways within your life which are frequently accompanied by feelings of being stuck, heavy, or limited. Energy Healing is a way to release blockages and liberate your energy into its natural flow state. You can move forward with clarity, centeredness, and a lightness that is refreshing and liberating. What are some symptoms that may indicate a need for Energy Healing? Each person is unique and experiences and perceives things in very different ways. There is no one-size fits all for someone else to pinpoint what you may be experiencing when out of balance and blocked. Your intuition is the best and surest way to know when you are ready to experience Energy Healing. That said... Life can seem difficult, heavy, and limited when out of alignment and blocked. Some have described feeling emotional instability through more lows than highs, an inability to release low emotions, and feeling stuck or confused. Others note mental fog and difficulty finding stability and balance in their minds. Many mention physical ailments like headaches, aches and pains, and dis-ease. Some people indicate perceiving spiritual stagnation. They report a lack of clarity and an observed loss of connection. Dulled senses and a less open heart, along with many other things are also noted. While many of these descriptions can represent signs of an unbalanced, blocked energy system, your own intuition will be your best guide. If your gut is telling you that you need Energy Healing, follow that path and take action. You will be so happy you did. Bridget currently offers convenient, 30-minute appointment times. Your session will begin with a brief conversation, then offer approximately 15-25 minutes of energy work, followed by a brief discussion to give you an opportunity to share and process your experiences. No one can answer this question for you. Sometimes a client only requires one appointment whereas the next client may choose to have several or schedule them regularly. Each person's situation is unique. You should ultimately determine the number of sessions you desire to have after your session. Just know that you can receive the exact healing benefits you need and the results can last a lifetime. Some people enjoy having energy healing performed regularly because they desire energetic realignments. In this new age of ascension, we are determining more evolved and innovative ways to walk in the world. Shedding outdated norms and beliefs becomes a daily practice, replacing them with expanded understandings of what healthy truly means. Humanity is going through a great change. People are beginning to learn how to fully support themselves energetically. It is completely expected that we inevitably and unintentionally affect the balance of our fields as we evolve within these new paradigms. Trust yourself and listen to your instinct. Wait until you have completed your energy healing session, then decide whether you require another. What types of healing sessions are available? Skype call sessions are available. Energy knows no boundaries, including time and space. Remote Energy Healing sessions are just as effective and have as deep an impact as in-person sessions. How will I feel after my Energy Healing session? Every person is unique as are the experiences in Energy Healing sessions. You will receive exactly what you need during your session. It is best to come with an open heart and a desire to receive what is in your highest good. Also, maintain a willingness to release what no longer serves you. It is through these states that you will prepare your consciousness to readily recognize what you receive in your session. Others have mentioned experiencing any number of the following: Feeling lighter, being centered, feeling aligned, having more clarity, knowing their next best steps, feeling more connected, an open heart, experiencing happier days, being in-tune, grounded, relaxed, physical healing, mental clarity, emotional clarity, balanced, peaceful, joyful, heightened sense of self-awareness, expanded consciousness, and so much more. Energy Healing will always provide what you most need. This is a layered process that occurs throughout all of your energetic bodies. After a session, it is normal to perceive tangible healings in the now, yet experience other wonderful shifts and changes that unfold over time - like gifts. How is Energy Healing different than other types of healing, like Reiki or Qigong? Energy Healing works by channeling full-spectrum energies. There are no limitations to the effects and expansions these healings can create - unless perceived and created by you. If you are open to immediate transformations and are prepared to release and shift into whatever is in your highest good - your experience can be limitless. This means that each Energy Healing will be tailored to your needs and beliefs. In Energy Healing, the practitioner does not determine what you will receive from them personally, nor decide what healing energies you require. The practitioner (Bridget) understands that higher, intelligent, and wise aspects of you know exactly what you need in this life. It is these parts of you who guide the healing session and utilize the intelligence of the healing energies to deliver just that. Other healing modalities are beautiful and offer healing assistance as well. Each is a key to the remembrance of your wholeness. They offer specific frequencies within the spectrum. The difference here is many of those modalities rely heavily on the practitioner guiding energy as well as using their own energy to heal you. They regard you as the one being healed and themselves as the healer. These beliefs hold human consciousness limitations that can, unintentionally, restrict the healing process. In Energy Healing, Bridget understands you are both, the one being healed and the healer. She is a channel and conduit who bows to the highest wisdom and knowledge that your high self and soul hold. Your soul is seen as an infinite being having a human experience. Therefore, you know best. These parts of you understand exactly what you require in all moments of your life. Whether conscious of this or not - you always hold the keys to your physical, mental, emotional, and spiritual well-being and expansion. Merging, even briefly, with this soul knowledge can allow you to flourish within your life. Energy healing sessions with Bridget offer an opportunity to reset your energy fields to wholeness and balance. Are you earnestly looking for a healer with a sincere heart whose mission serves you in these ways? End your search and begin your remembrance of wholeness with Bridget. Book your Energy Healing session today. You’ve probably heard the word multidimensional before. You may even have an understanding of how it is defined in our scientific language. But let’s give you an example that is hopefully easier to digest. Take a stack of graph paper, place a long needle in the center of the stack - and spin the paper around in a circle. Spinning the paper allows each piece to have a slightly different direction. All the lines are still there, just intersecting as they are stacked. Now imagine that there are planes of existence that are those lines. Those are the dimensions. They are vast, layered, and innumerable. Each has its own set of rules to play by and offers its own special experiences and growth. Within some of those lines or planes are worlds that exist in solar systems, inside of galaxies, within universes. Are you following? Imagine now that parts of you (versions of your essence) are living and playing in many of these spaces at once - that you are expressing yourself through these existences.. Enjoying life and growing in whatever ways each expression of you can. Then envision that most of your expressions are conscious of one another and that many of these versions of your essence can communicate among themselves freely and openly. This is what it means to be conscious of your multidimensional nature. Each of those aspects of your soul exists in places that have specific frequencies, and they are frequency themselves.. They hold knowledge, wisdom, and codes. They are a part of who you are now. Many of your aspects holds keys to assist with your current, human life. Multidimensional Energy Healing offers your higher self and soul an opportunity to bring more of you into balance. 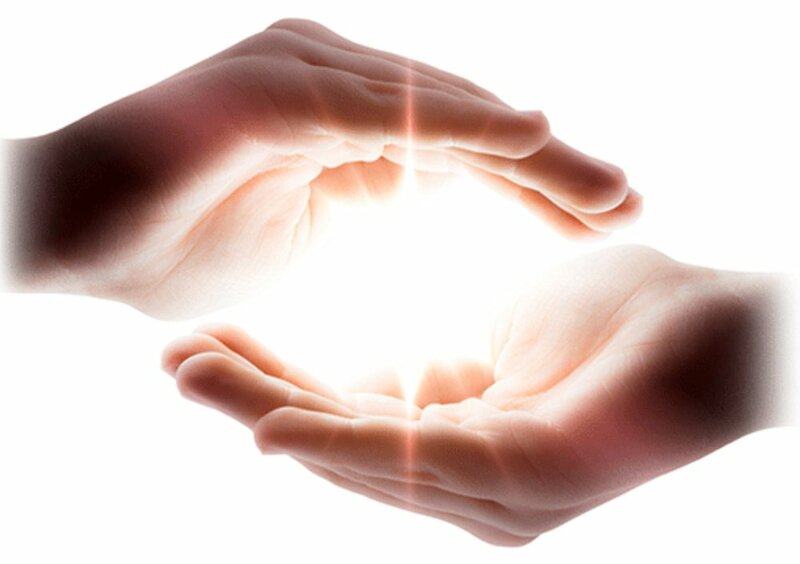 Many people have magical and seemingly miraculous experiences through energy healing. This is because their higher selves and souls bring more of them online through this healing energy - and on some level they are ready for this to happen. Hopefully this gives you a basic idea of how being multidimensional works. Does this example assist multidimensional concepts to begin to form and make sense? It takes a bit of consciousness expansion to even perceive some of this information. Of course there is so much more to what multidimensional is and means, it’s like a never ending, layered cake.